Spinal Cord Injuries Attorney San Francisco, CA | Bracamontes & Vlasak, P.C. The spinal column is comprised of 31 vertebrae: 7 cervical vertebrae (upper portion of the spine involving the neck); 12 thoracic vertebrae (mid and upper portion of the back); 5 lumbar vertebrae (lower back); 5 sacral vertebrae (sacrum); and your tailbone, 2 coccygeal vertebrae (coccyx). National Spinal Cord Injury Statistical Center (NSCISC) manages and collects information on spinal cord accidents and injuries across the Unites States. According to NSCISC, there are approximately 12,000 new cases of spinal cord injuries each year. There are 238,000 to 332,000 people in the United States living with some form of spinal cord injury. 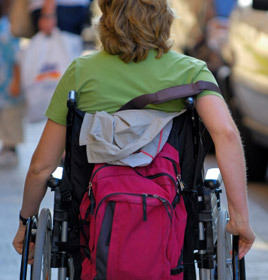 Spinal cord injuries are primarily seen in young adults. Almost half of the spinal cord injuries that occur in any given year afflict individuals between the ages of 16 to 30. Over 80 percent of reported spinal injury cases concern males. The most common cause of spinal cord injury is motor vehicle accidents. Auto accidents account for about 36 percent of annual spinal cord injuries. Falling is the next biggest contributor to spinal cord injury claims, followed by violence, such as gunshot wounds. While there has been a significant amount of media coverage concerning head trauma and sports, only about 9 percent of spinal cord injuries are attributable to sports. It is common knowledge that an unhealthy back can have a dramatic affect on one’s ability to work. Whether you are involved in a labor intensive occupation such as construction or sit at a desk all day, back injuries can keep you out of work for extended periods of time. Almost 60 percent of individuals who reported a spinal cord injury were employed at the time of the injury. One year after the date of the injury only 11 percent of those individuals are employed. Put differently, out of the people that were gainfully employed at the time they injured their spine, 89 percent of them were unable to return to work after a year. This evidences the seriousness and life changing impact spinal cord injuries have on individuals. After a spinal cord injury, an individual can expect to spend an average of 11 days in the hospital. After 11 days in the hospital, those with spinal cord injuries average 36 days in the rehabilitation unit. This is not outpatient rehabilitation like physical therapy, but inpatient, supervised, rehabilitation. Since most spinal cord injuries involve a motor vehicle accident, it is important to look at vehicle safety. The Center for Disease Control (“CDC”) states that you decrease your likelihood of a spinal cord injury by 60 percent when you use a seatbelt. Similarly, the CDC states that you decrease your likelihood of a spinal cord injury by 80 percent when you use a seatbelt in conjunction with an airbag. Spasticity, as its name suggests, involves involuntary muscles spasms. There are varying degrees of spasticity involving mild muscle stiffness to uncontrollable movements and leg crossing. Spinal cord injuries affect the communication between the brain and other parts of the body. Within the upper portion of the spinal cord are nerves called upper motor neurons (UMNs). The UMNs connect the brain and spinal nerves. UMNs are distinct from the spinal nerves that branch out into other portions of the body. Those other spinal nerves are called lower motor neurons (LMNs). The brain sends messages from the UMNs to the LMNs and that is what controls our ability to move. When the UMNs are either severed or otherwise significantly damaged, the LMNs no longer receive any messages and the LMNs begin acting on their own and cause uncontrolled flexing of the muscles. There are many different anti-spasticity drug treatments available for those with spinal cord injuries. Baclofen, tizanidine, benzodiazepines and dantrolene sodium are commonly used to treat spasticity, as are phenol and botulinum toxin. The latter two drugs usually being administered via injection. Some physicians also install medicinal pumps, otherwise known as intrathecal pumps, to deliver baclofen. In cases of acute spinal cord injury, the muscles needed to breathe and cough are weakened, atrophy, or paralyzed. As such, those with significant spinal cord injuries may need respirators to breathe, experience atelectasis and/or hypoventilation. Atelectasis is the partial or total collapse of a lung. Not only does this cause difficulty breathing but it reduces oxygen flow to the body in general. Following a spinal cord injury, individuals will often use an incentive spirometry to build and regain proper air flow. In situations where the spinal cord injury occurs at level C-3 or higher, the diaphragm’s ability to function is jeopardized. If the spinal cord injury is complete, the diaphragm will not work and mechanical assistance will be required to breathe. Those individuals with mid-level spinal cord injuries often experience an inability to take deep breaths and cough forcefully. The inability to cough can lead to build-up of fluid and congestion in the lungs. Persons with spinal cord injuries of this sort are encouraged to seek pneumonia and flu vaccinations, since the build-up of fluids and congestion in their lungs can significantly complicate their health issues. Indeed, the NSCISC lists pneumonia and septicemia as having the greatest impact on reduced life expectancy for those individuals with a spinal cord injury. The nerves that control bladder and bowel control are located in the sacrum at the base of the spine. Following a spinal cord injury, the messages from the brain to the bladder are disrupted. Several common bladder issues include: dyssynergia, flaccid bladder, and spastic bladder. Normally, the sphincter muscle relaxes when the bladder contracts, allowing urine to flow through the urethra. When the sphincter muscle fails to relax during this process, it is known as dyssynergia. When the sphincter muscle does not relax, the urine has nowhere to go and it backs up into the kidneys. Flaccid bladder is when the bladder does not recognize it is full and fails to contract. Urine build-up in the bladder causes the bladder to stretch and over-distend. Again, the urine has nowhere to go and it backs up into the kidneys. Spastic bladder is when the bladder contracts and empties without warning. It use to be that due to the bladder issues referenced above, kidney failure was a leading cause of death among individuals following a spinal cord injury. However, now there are other treatments and procedures to assist in bladder management. Intermittent catheterization, bladder augmentation, sphincterotomy, and like procedures can alleviate and avoid significant kidney damage associated with post-spinal cord injuries. Incomplete spinal cord injuries reference partial damage to the spinal cord. The location of the damage to the spinal cord will impact the types of problems that arise from the spinal cord injury. For example, in cases where the front of the spinal cord is damaged, individuals experience decreased sensation. There is an impaired ability to sense temperature, pain, and general decreased tactile sensation. Movement of the limbs is generally not affected. This is called anterior cord syndrome. Conversely, damage to the back of the spinal results in decreased ability to coordinate limb movement but does not typically involve loss of the ability to sense temperature, pain, or decreased tactile sensation. This is called posterior cord syndrome. Brown-Séquard syndrome (BSS), following a spinal cord injury, is where one side of the body experiences weakness or paralysis of a muscle, with no loss of sensation, while the other side of the body experiences loss of sensation, with no loss of muscle movement. In contrast to the above mentioned incomplete spinal cord injuries, a complete spinal cord injury results in the absolute and permanent loss of function below the level of the injury. Neck injuries or cervical injuries to the spinal cord often result in paralysis of all four limbs. Depending on the level of the injury, the individual may retain some muscle control in the neck or deltoid, bicep, or tricep muscle group. For instance, individuals with complete C-3 spinal cord injuries may be ventilator dependent, but still may be able to shrug their shoulders and move their neck. This functionality may give them the ability to use specially powered wheelchairs. Those with C-1 to C-2 injuries may have intact and functioning phrenic nerves, and may be able to forgo ventilator assisted breathing with the installation of a phrenic nerve pacemaker. C-5 tetraplegics may have functional bicep and deltoid muscles. These individuals may be able to bend their elbow flex their wrist. However, elbow extension may only be produced by allowing gravity to extend the elbow. C-7 to C-8 tetraplegics may have functional triceps, allowing them to bend and straighten their elbows, and have control over their hands. These individuals can drive specially equipped vehicles, operate a manual wheelchair, and generally perform many routine day-to-day activities. While it is clear that tetraplegia/quadriplegia conditions vary, it is undisputable that caring for an individual with this type of condition is time and labor intensive and often requires a significant amount of resources in order to maintain a dignified quality of life. Paraplegia is used to describe either a complete or incomplete paralysis of the legs, but not the arms. Paraplegia involves damage to the T-1 vertebrae and below. Aside from the issues mentioned above, bladder control, motor function, etc., paraplegics experience blood pressure issues, chronic pain, inability to sweat, and sexual dysfunction. The lower the level of the injury, generally the greater functionality the individual retains. Those with spinal cord injuries at T-6 to T-12 may retain abdominal control and be able to walk independently for short distances with crutches or leg braces. The American Spinal Injury Association offers some practical tips on how to select an appropriate provider of spinal cord rehabilitation services. First, you want to find out how long the program has been in existence and whether the staff are professionally licensed. Second, you want to know how many new patients are admitted to the program each year. The rehabilitation techniques for spinal cord injuries improve annually and you want a provider that is taking on new patients and striving to improve, as opposed to a provider that has had the exact same patients for the last 5 — 10 years and may not be current on all of the new techniques. Next, the American Spinal Injury Association recommends that you inquire into the provider’s outcome measures. In other words, how much did patients improve? Were the patients able to be discharged directly to their homes or were they discharged to other facilities? How does a specific provider’s program compare to others in the area? In addition to professional credentials, we recommend conducting a search with the county court to determine if, and how many times, a provider has been sued. While the filing of a lawsuit is not necessarily an indication that the provider is unfit, multiple lawsuits in the last 18 months may indicate a pattern of poor practices that should be taken into consideration. For 2013, the NSCISC estimates that the first year costs for a high tetraplegia injury (involving C-1 to C-4 vertebrae) is $1,044,197. This amount represents the health care and living expenses associated with assisting the individual. This does not include any loss wages or benefits. Each subsequent year the annual cost for this type of injury is estimated to be $181,328. The lifetime costs for someone injured at the age of 25 is $4,633,137. Again, this is just the out-of-pocket expenses associated with caring for an individual with this type of injury. This does not include emotional distress, loss wages, or the like. The NSCISC estimates that the first year costs for a paraplegia injury is $508,904. Each subsequent year the annual cost for this type of injury is estimated to be $67,415. The lifetime costs for someone injured at the age of 25 is $2,265,584. The NSCISC estimates that the first year costs for incomplete motor functionality at any level is $340,787. Each subsequent year the annual cost for this type of injury is estimated to be $41,393. The lifetime costs for someone injured at the age of 25 is $1,547,858. Unfortunately, a whole host of accidents can result in a spinal cord injury, and it takes an experienced personal injury attorney to know if a lawsuit is appropriate. There are guidelines for who can file a suit, when it must be filed and what damages are available. When a government entity is responsible for the accident that caused your spinal cord injury, you may need to file suit in as little as six months. This is the type of knowledge our attorneys possess and will put to use to assist you. At Bracamontes & Vlasak, P.C., we realize that your spinal injury may prevent you from coming to the office, and so our attorneys are happy to come meet you personally to discuss your case. Your initial consultation with one of our lawyers is free of charge and does not obligate you to hire us. We handle the vast majority of our cases on a contingency fee basis. This means that the only way you owe us anything is if we are successful at recovering compensation in your case. In contingency cases, we also advance any necessary costs associated with the case. For a free consultation concerning your spinal cord injury case, please contact Michael Bracamontes or Ryan Vlasak at 415.835.6777 or contact BV Law by email.